There is the ever present question of Dracula... so here's an unlikely link. The birthplace of Vlad Tepes, is the Saxon city of Sighisoara was the birthplace of this famous man. Yet no one seems to know this. 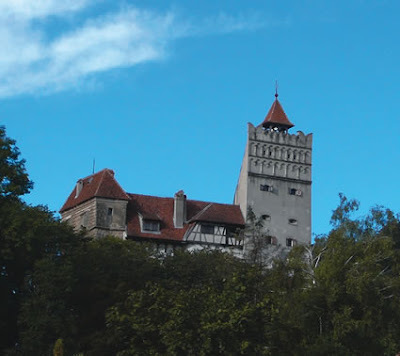 It is Bran Castle which is linked to Vlad Tepes in the novel Dracula ( novel people novel!) yet he never lived in the castle. Very unlikely link, and it is through a novel that people know of these two places. I visited Brasov where the castle is in the winter of 2005 and it was one of my best vacations ever. the people were warm and friendly and you get great value for the dollar. My own ancestors are from Saxony on my father's side. 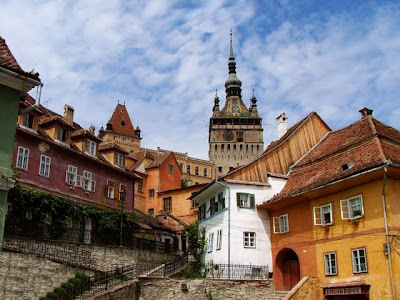 So I am interested about these Saxon towns in what is now Hungary and Romania. You have your wishes granted!